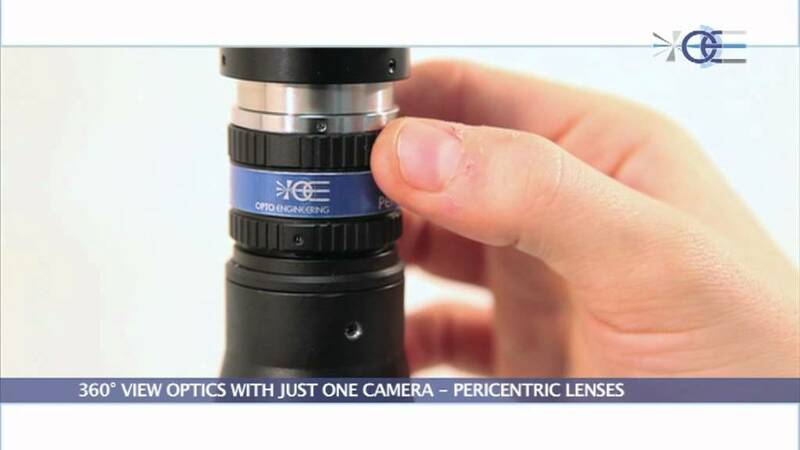 Opto Engineering Micro-PolyView is a 3D, multi-image lens designed to completely measure and inspect objects whose dimensions range from 1 to 10 millimeters, such as electronic components, solder paste and micro-mechanics. Six different lateral views are provided by an array of mirrors interfaced to a bi-telecentric lens; the top of the object is directly imaged at the center of the field of view. The lateral views feature exactly the same magnification and the images remain in perfect focus even when the object is displaced from its nominal position. All the views can be used to precisely measure the dimension of components from different angles. Opto Engineering Micro-PolyView integrates LED illumination with the most appropriate lighting geometry for this optical configuration. Customized versions with different number of views, different view angles, asymmetric or special mirror arrays can be supplied upon request.